Professional Data Recovery Company in London: Computer Doctor offers data recovery services in London. When it comes to recovering your precious data, you need a data recovery company based in London and with the right skill-set, resources and expertise to do the job efficiently and professionally. Computer Doctor is a leader in providing data recovery services in the UK and has been offering fast and cost-effective data recovery solutions to London business and private customers since 2001. Our extensive and vast knowledge in all types of storage media and operating systems, will ensure highly successful data recovery. Our data recovery specialists are able to recover and salvage lost data from faulty hard drives, RAID arrays, laptops and other media. Computer Doctor has built a rock solid reputation as London’s leading data recovery service provider. We can provide standard and emergency data recovery services for home users, university students, professionals, businesses in London. All Computer Doctor data recovery technicians are highly experienced. We offer specialist data recovery services for all operating systems – Windows Vista, Windows NT, Windows 2000 (Professional and Server), Windows XP, Windows 7 and 8, Unix (AIX, BSD, HP, Solaris) Linux (Mandrake, Corel, RedHat, Debian) and Mac (OS9, Mac OS X Cheetah, Mac OS X Jaguar, Mac OS X Panther, Mac OS X Tiger, Mac OS X Puma, and Mac OS X Leopard). 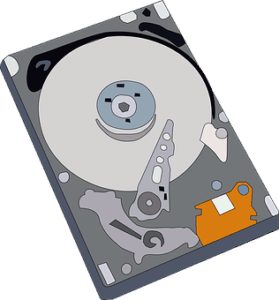 Our data recovery expertise covers all file systems HFS and HFS+, FAT32, NFS, UFS, Ext2, Ext3, NTFS, HPFS file systems. If you have experienced data loss in London or areas such Hackney, Hounslow, Islington, Southwark, Camden, Wandsworth, Knightsbridge, The City, Westminster, Mayfair or Whitechapel, Richmond, Brent, Clerkenwell, Docklands, Greenwich, Barnet, Ealing, Lewisham, Croydon, Bromley, Computer Doctor can help you.